The call for the 2018 round of attachments is now open with a deadline of 10 April 2018. The programme of attachments offers Imperial staff the opportunity for their research group to be seconded to the Crick, to establish a satellite group in a Crick lab or to spend up to a year with the Crick on sabbatical. Find out more and apply. The new Networking Fund call for applications has a rolling deadline, the first of which is 23 February 2018. 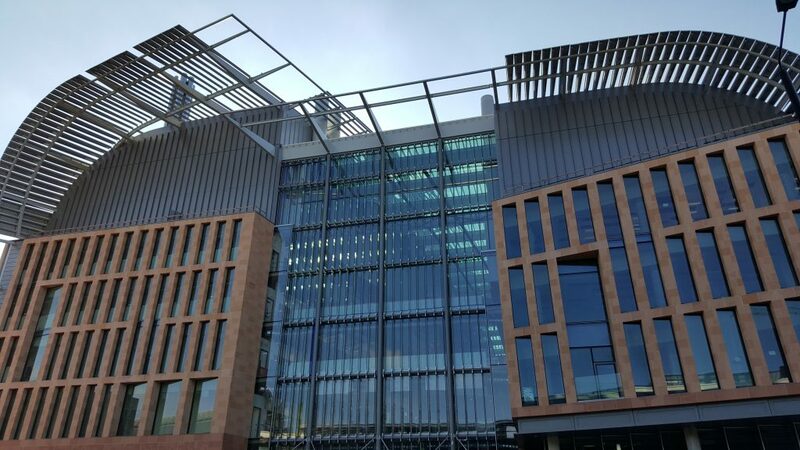 The Fund supports staff to develop connections across disciplinary boundaries with researchers in related fields and other world-leading biomedical scientists at the Crick. Find out more and apply. Over the coming months the Clinical Academic Training Office (CATO) will be introducing a programme of support for clinical PhD fellows across the Faculty of Medicine and wider AHSC partnership. The aim of the work is to gain a clearer picture of the range of clinical PhD fellows, even-out and improve their experience (complimenting the support provided already by each department/Trust), establish a visible central liaison hub for supporting clinicians as they undertake PhD programmes, and support them to progress their clinical academic careers into intermediate fellowships and beyond. 5:30 – 7.30 pm, W12 Conference Centre, Hammersmith Hospital. This Masterclass will explore the cutting-edge use of genomic information both in clinical practice and clinical academic research, and will give an update on the 100,000 Genomes project and how clinical academics can use/access 100,000 Genomes. To book a place please complete this online booking form. Monday 26 March 2018: Advancing your academic career with an Intermediate Fellowship: how to win one! 5:30 – 7.30 pm, Paul Wood Lecture Theatre at the Royal Brompton Hospital Campus. The content is most suitable for late-stage PhD training fellows, Clinical Lecturers and other Post-Doctoral Fellows, but anyone interested in furthering their clinical academic career after a PhD is welcome. To reserve a place please complete this online booking form. In November 2017 the ICCESS team delivered a Sequential Simulation to a group of delegates from the UAE government undertaking a Public Sector Innovation Diploma with Imperial College Business School’s Executive Education Centre. The simulation featured a re-enactment of a patient journey through the UK healthcare system. After watching the workshop, participants were encouraged to suggest improvements and draw parallels with their own work environments. Professor Roger Kneebone recently gave a guest lecture at the Royal Academy of Arts, Burlington House. 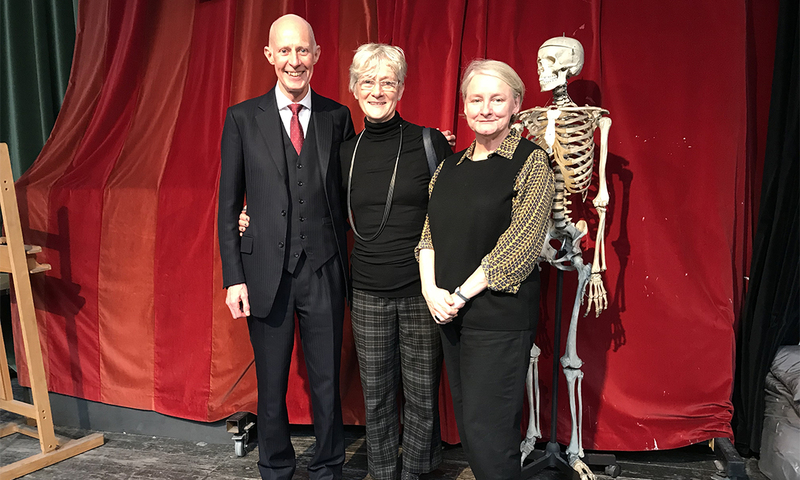 Prof Kneebone’s talk, part of the Royal Academy Schools lecture programme, focused on his interest in exploring the parallels between surgery and creative disciplines such as craft and performance. A major new research partnership has been launched to explore ways of reducing health inequalities in cities around the world. Visit our website to read more. A new project to research the underlying technology – funded by a $US 1.5 million grant the Bill and Melinda Gates Foundation – will see researchers from the Hamlyn Centre at Imperial College London developing wearable and wall mounted sensors and AI technology to monitor how households consume food. Join us on Monday 19th March for our interactive Dragon’s Den style event to find the winner of our annual Student Challenges Competition. 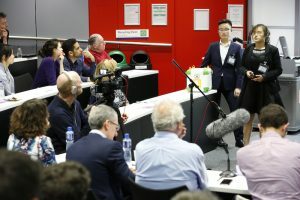 The competition provides a platform for students based in the UK to showcase their global health research idea and win up to £5000 to develop it further. Runners-up and audience choice prizes will also be awarded.